Discussion in 'DiRT Series' started by GTPNewsWire, Feb 13, 2019. This article was published by Michael Leary (@Terronium-12) on February 13th, 2019 in the DiRT Rally 2.0 category. sebmugi and kalakanto like this. Never knew these kind of things existed! I'm so excited for it! Vigne, MidnightRush, MarcoM and 2 others like this. The Fabia has been quite a surprise. My most used car in Evolution's WRC2003 by far, and probably the last rally car from the last goldie gen of rally (until 2004 to me) I liked, before the ugly rounded eggs on 4 wheels we see today as wrc cars..
Skython and TheNuvolari like this. Alpine_chap and Pfei like this. You don’t know what year this Fabia they’re including is though, do you? Might as well be a recent version. It's the 2005 Fabia Rally. This is surprisingly good! 3 new rallys in one season? Nice! Monte is a classic and i really liked Germany in Dirt Rally 1. CHEN255 and GTMajarcus like this. its the 2004-05 version, which technically makes for the 99% of the 2003 version too. The 2004 appeared in WRC4 as well as the one we are getting now in WRC Evolved. What about Group B. I heard they're not on launch but they're not shown here either. I'm worried. All the 4WD Group B cars are on the car list, and now the Manta is confirmed as DLC. I believe the M1 is also technically a Group B car in its rally spec. So we're just missing the 037 at this point. Hopefully we'll get some more Group B RWD cars like the Mazda RX-7, but at this point we already have as many Group B cars confirmed as have been in any recent DiRT title. Happy that the 2000's cars will come back. I hope that the Impreza will be the 2003 version. Surprised to see that we get the Skoda Fabia. It's disappointing though that we have to pay for content that was in the previous games. Nice content there especially the Fabia Rally and the M1 are great surprises, but revealing dlc plans before the game is even released and the majority of it being vanilla content from previous games is shady in my opinion. Still look forward to the game's release. Titzon Toast, Strittan, SVX and 3 others like this. Actually kudos to them for releasing the info before release as it gives everyone the option to cancel. How mad would you be when it pops through the letterbox and then CM release the info. Some people are lapping it up but £70 for old stuff when it was advertised as 3 new locations is poor, not even new routes! I will wait for the PSVR version if it is possible to be done. Titzon Toast, MrCrynox, Gr8_Lakes and 5 others like this. I'll echo the opinion that this is very good practice. They're not being shady at all, they're actually being completely transparent and ensuring you have all the information needed to make an educated decision on what version to buy. Vigne, Scaff, Gr8_Lakes and 1 other person like this. How dlc rallies Will Be integrated into career mode championships available at launch? Not sure. The article mentions events and stuff my Dirt 3 (the last game that had post launch dlc by Codemasters) did integrate into career mode. There's also custom championships which should work similar to dirt rally and dirt 4 which will pay out cash and such for completion. I've read that the Impreza will be the 2001 model. Edit: at this stage it is unconfirmed, it may be a 2008 model. I have never purchased a season pass and never will, no way would I give my money to a company without knowing exactly what I was getting for it and when. Rarely buy DLC too but if the content is good for the asking price I have no problem paying, never in advance without a full breakdown of what is included though. They've literally just posted exactly what is in the season pass and the dates it will arrive. Vigne, kalakanto, Imari and 2 others like this. One of the most prestigious rallies of the calendar as DLC? That's rather unfortunate. It feels like Monaco being DLC for an F1 game. MrCrynox, Strittan and Pfei like this. It's not a WRC game. GTMajarcus, Scaff and MagpieRacer like this. Of course, making it not being an obligation to be in the game. But regardless, it feels like a slap in the face to consumers- a very obvious marketing and cash ploy. 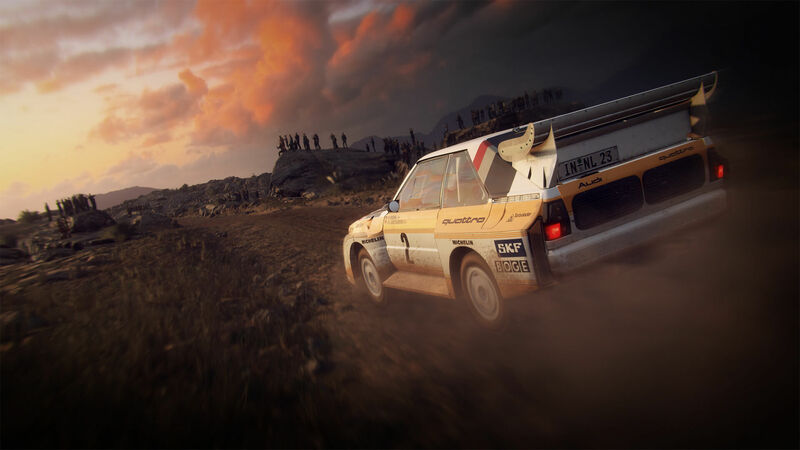 It's a game about celebrating the heritage of WRC, so to have a massive omission [of WRC] missing feels similar to it really needing to have been there in the first place. If they had put Monte Carlo, Sweden, and Germany in the base game, and made some of the new locations DLC instead, then people would complain that they were giving us the same old content while making all the shiny new stuff DLC. Look, I understand wanting more content for your money, but the developers have to get paid for their work, and the locations from DR will certainly have required a good bit of work to implement the new stage degradation system. The way things are right now, everyone has a pretty clear idea what you're getting for your money (except the mysterious Season 2 DLC), and can make a reasonably informed decision to buy or not. Personally, I loved Monte Carlo and Germany in DR, so to me the Deluxe Edition is worth it to me just for those two locations and the M1 Procar. Vigne, CHEN255, GTMajarcus and 3 others like this. Last night I was thinking, I'm really going to miss Germany from Dirt Rally 1, and now it's coming back as DLC. Nice. CHEN255 and kalakanto like this. I'm guessing season 2 will be used to fill up the missing RX tracks in the calendar. I don't think people will be complaining old locations in it, considering this is the practice that circuit games has been doing. Would have been great if they did what Eidos did for Hitman 2 by giving access to remastered old levels for free to owners of the first game in its sequel. I would prefer to have all the old locations back with an addition of 2-3 new locations or just more routes in the old locations. sirjim73, CTstryk, Imari and 2 others like this. You had me at BMW M1 Procar. Wait, so how do we know that the Fabia is the 2005 car? Because I want to know if the hype train is traveling to my destination before climbing aboard. I was just playing WRC: Rally Evolved the other day to get a nostalgia kick in the Skoda. curtis 1-8-7 and MagpieRacer like this. Christina (Community Manager) confirmed it to be based on a 14 year old model. MagpieRacer and Skython like this.